Registered with Wacom, but didn’t get a serial number for ArtRage? The Wacom Intuos Draw comes with a free download of ArtRage Lite. 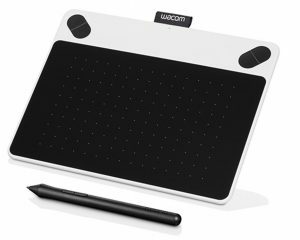 We are aware of an occasional issue with the Wacom website not assigning serial numbers to new ArtRage owners. If you downloaded ArtRage Lite or ArtRage Studio from Wacom following the steps here and did not receive a serial number, go to the Wacom website and log into your account. You should see your registered tablet there, and there should be an option to download ArtRage Lite from there, with your serial number listed. If it isn’t there, please contact Wacom support for assistance or email a screenshot of your Wacom account and registered tablet to [email protected] (we do not have access to your account at Wacom, but we will do our best to provide an alternative solution).